How much do you know about “The Wizard of Oz“? From the classic book to the Judy Garland film, this story still tugs at our hearts. Read on for a brief background on the stage musical before it visits Worcester November 8-11. 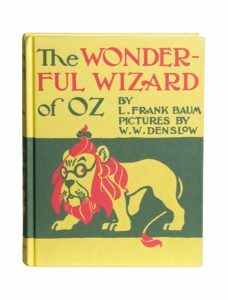 The beloved classic, “The Wizard of Oz,” is based on the 1900 children’s novel “The Wonderful Wizard of Oz” by L. Frank Baum. The first on-stage version of “The Wizard of Oz” was a musical comedy created by L. Frank Baum, Paul Tietjens and A. Baldwin Sloane, and premiered in Chicago in 1902. 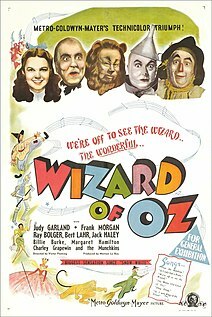 “The Wizard of Oz” officially opened on Broadway at the Majestic Theatre on January 21, 1903 and became the longest running show of the decade, tallying over 290 performances. Following its Broadway engagement it toured the country until 1911. Toto, Dorothy’s dog, is actually replaced by a cow named Imogene in the 1903 adaptation. This was most likely done because it was easier to fit an actor inside a cow costume than a dog costume, much less attempt to train a dog for the stage. 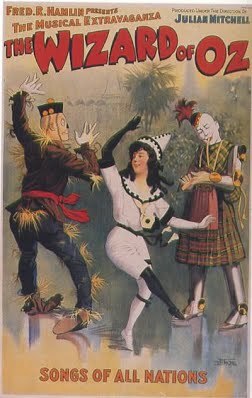 In the 1903 adaptation, the Cowardly Lion is reduced to a non-speaking role based on the pantomime tradition that animals did not speak. The Cowardly Lion was mainly used as comic relief and to scare off the occasional villain. In 1939, the musical film by MGM debuted, directed by Victor Fleming and starring Judy Garland. While not instantly successful, it was critically acclaimed and grew to become one of the most treasured films of all time. The songs from the original stage musical were not used in the film. Music and lyrics for the film were by Harold Arlen and E.Y. “Yip” Harburg, who won the Academy® Award for Best Song for “Over the Rainbow.” In addition, Herbert Stothart, who composed the instrumental underscore, won the Academy® Award for Best Original Score. In 1945, a stage play using songs from the 1939 film was adapted by Frank Gabrielson for the St. Louis Municipal Opera. In 1987, John Kane scripted an adaptation of the 1939 film for the Royal Shakespeare Company. Kane’s version more closely followed the movie script than the 1945 adaptation and played in London’s West End. The current National Tour of “The Wizard of Oz” is based on the Royal Shakespeare version and visits The Hanover Theatre November 8-11.